The People's Liberation Army Air Force landed its H-6K bomber aircraft on an airport in the South China Sea during a recent exercise, marking the first time Chinese bombers have used an airport in the region. Several H-6Ks from an unidentified aviation division, headed by division commander Hao Jianke, took off from an undisclosed air base in South China and made a simulated strike against sea targets before landing on an island in the South China Sea, according to a statement published by the Air Force on Friday. The aircraft then conducted takeoff drills using the island's airport, the statement said. It noted the operation provided experience for Air Force bomber units to use islands as their bases. The division involved in the exercise has taken part in patrols over the western Pacific Ocean, South China Sea and plateaus, according to the Air Force. 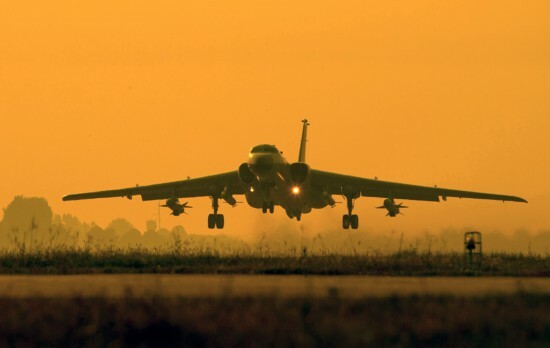 The statement quoted Wang Mingliang, a researcher at the PLA Air Force Command College, as saying that takeoff and landing exercises on islands in the South China Sea will help the Air Force strengthen its combat capability to deal with marine security threats. Wang Yanan, editor of Aerospace Knowledge, told China Daily that after the Air Force's bombers are able to be deployed on islands in the South China Sea, their operational range as well as China's maritime defense parameters will be tremendously extended, adding to existing prowess to deter any plots to compromise China's territorial integrity from the sea. According to the Chinese government, there are at least four large airports in the South China Sea - on Yongxing Island in the Xisha Islands and Meiji, Zhubi and Yongshu reefs in the Nansha Islands - that are capable of handling large aircraft. In 2016, large jetliners from Chinese airlines carried out landings and takeoffs using airports on Meiji, Zhubi and Yongshu reefs. The H-6K is the PLA's most advanced bomber and is capable of carrying supersonic cruise missiles to make precision strikes against land targets or ships. Foreign analysts speculate that the aircraft has a flight range of about 3,500 kilometers while China's CJ-10 series cruise missiles have a minimum range of 1,500 km, which means the bomber is able to hit targets at least 5,000 km from where it takes off. Aviation Industry Corp of China, the nation's leading aircraft maker, is developing a new long-range strategic bomber, which observers say is likely to have an operational range of at least 12,000 kilometers and a maximum carrying capacity of 20 metric tons of bombs and missiles.